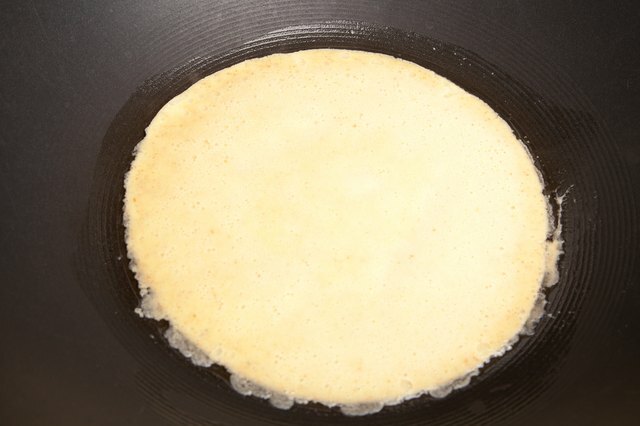 Crepe batter is thinner than a breakfast pancake and has more egg in proportion to breakfast pancakes. Pancake batter has leavening, baking powder or baking soda, but crepe batter does not. So, pancakes are thicker and fluffy, crepes are thin and delicate. 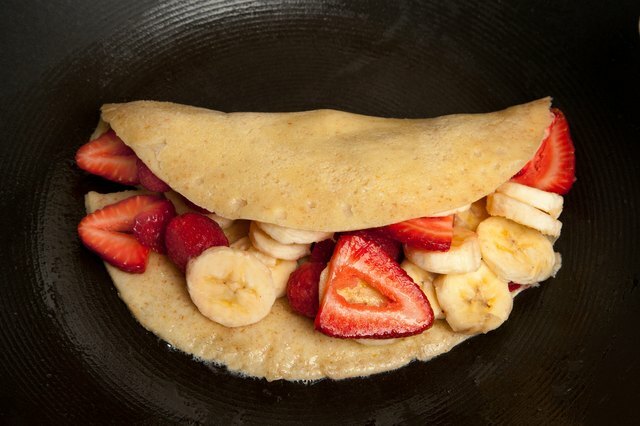 Crepes can be folded or wrapped around nearly any kind of filling, sweet or savory. 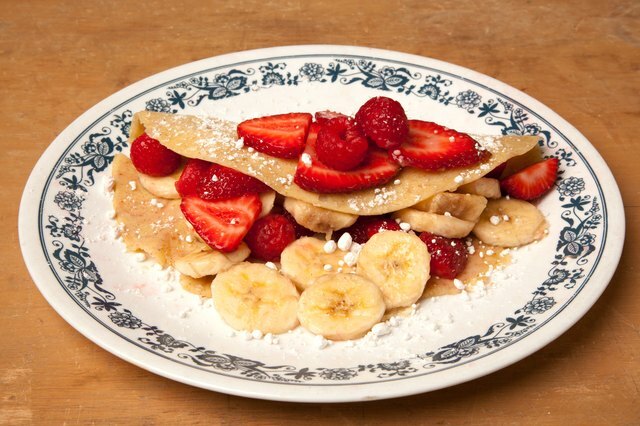 Pancake batter can be used to make crepes, you just need to do a little tweaking to the recipe. Put the egg, milk, pancake mix and 3 tbsp. 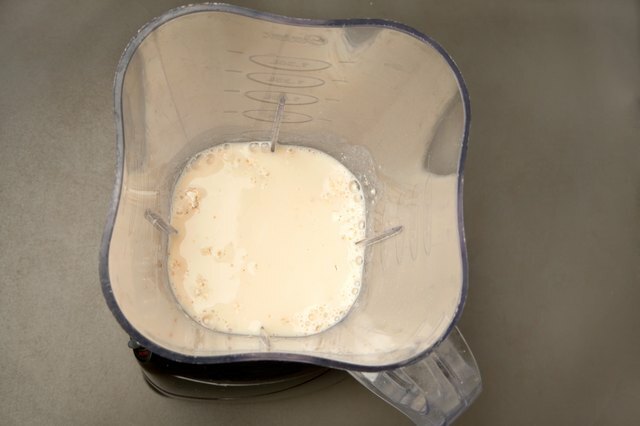 melted butter in the blender and blend until smooth. Add a little water if the batter is too thick and blend again briefly. It should be the thickness of half and half. Pour the crepe batter into a pitcher or glass measuring cup with a spout and refrigerate for an hour. Prepare your fillings. Cook ingredients such as vegetables or scrambled eggs. Grate cheese if you plan to use it. 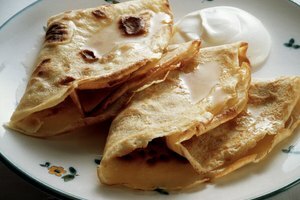 Or, if you are serving sweet crepes, have preserves, syrup or jam ready, with ricotta cheese, mascarpone cheese or whipped cream. Preheat your griddle or pan as you would for pancakes. Melt a little butter on the griddle or pan and swirl around to cover the entire cooking surface. Pour enough batter onto the griddle or in the pan to cover the bottom of the pan thinly. Tilt the pan to spread the batter out evenly. As soon as the edges begin to dry, gently slide your spatula underneath, wiggling a bit to make sure the crepe isn't stuck to the pan, and flip it over. 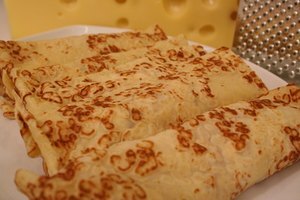 After a few seconds, put in a spoonful of filling, a sprinkle of cheese, and roll up the crepe. Put it on the serving plate. If you aren't using a filling, fold the crepe into quarters once it has cooked on both sides. 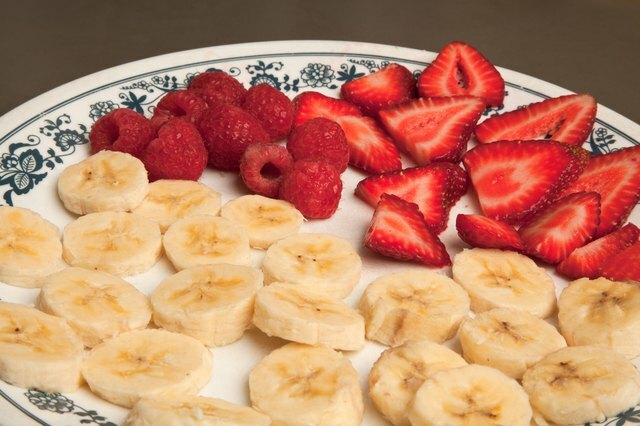 Place on a plate and serve with condiments like lemon juice, jam, syrup or a creamy cheese. 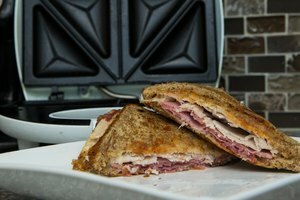 While your crepe batter rests in the refrigerator, prepare your fillings so you can be ready to fill each crepe as it comes off the griddle. To store crepes after cooking them, allow them to cool on a towel, stack and wrap airtight. Keep in the refrigerator for two or three days or in the freezer for up to a month. Thaw slowly in the refrigerator. Crepes should be thin and somewhat eggy. If your first crepe is more like a pancake (fluffy and spongy) add a little more water or milk to the batter. Relax. Crepes are no more intimidating than pancakes. If your first crepe sticks, just throw it away, butter the pan some more and try again.